For the past 20 years, the strongest hand at the Zinfandel wheel has been Larry Turley's. Turley Wine Cellars, which released its first wines with the 1993 vintage, pioneered a plush, richly fruity style of Zinfandel that helped establish the varietal as a world-class contender. Turley's Zins appear on America's best restaurant wine lists, and the waiting time for a spot on his direct mail list rivals that of many cult Cabernet Sauvignon producers. Wine Spectator's James Laube explains. 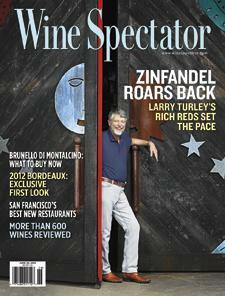 For the full article, check out the new issue of Wine Spectator, on newsstands June 4, 2013.